Mahler's Apocalyptic Second Symphony Mahler's grand-scale "Resurrection" Symphony marked the real beginning of his career as a composer. It's the work with which he answered the metaphysical challenge of Beethoven's Ninth, with a turbulent beginning and a triumphant conclusion. Gustav Mahler, not long after completing the Symphony No. 2, said, "The term 'symphony' means creating a world with all the technical means available." The Resurrection Symphony is an all-embracing work, the first of the Austrian composer's symphonies to make use of voices and words as well as the orchestra, and the piece that set him decisively on the path toward the grandly scaled, high individualist and confessional style of symphony that was to become his legacy. It was also the composition that brought Mahler his first fame, and its premiere in Berlin on the night of Dec. 13, 1895 (staged with the help of Richard Strauss), marked the real beginning of Mahler's career as a composer. Symphony No. 2 is the work with which Mahler answered the metaphysical challenge of Beethoven's Ninth. There are a lot of similarities along the way — the turbulent beginning, the vast exploration of musical territory in the middle of the work and the triumphant conclusion. In the final movement, all 38 and a half minutes of it, the ramparts are being climbed and the noise and confusion of battle surround you. 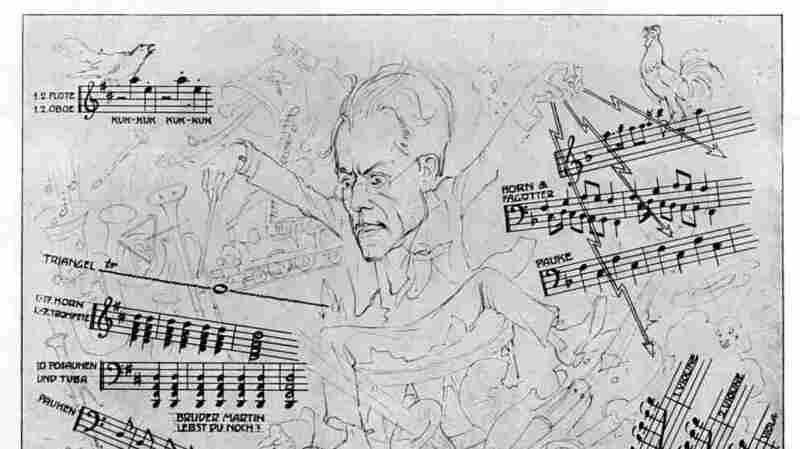 Using off-stage instruments to explode the musical space was one of Mahler's favorite devices, and trumpets sound from different sides of the stage in this movement. He engulfs the listener in something beyond the reaches of the concert hall. Leonard Bernstein's is an apocalyptic vision. This is the Resurrection taken to the limit, and then well beyond. It may not be a reading to everyone's liking, but it is certainly an experience, and there's no question of the performers' commitment. It makes sense to have Bernstein and the New York Philharmonic represent Mahler. The New York Philharmonic was Bernstein's orchestra — and it was Mahler's, too. He spent two years with the Philharmonic from 1907 to 1909. His conducting was intense, impassioned, revelatory and very physical — a frenzied, sublime communion with the music. Leonard Bernstein's body language was similarly dramatic, and his 1987 performance of Mahler's Symphony No. 2 is extraordinary.